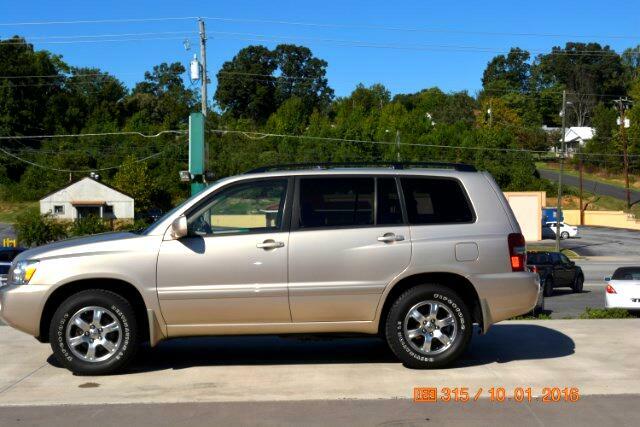 This LIMITED Addition, Sport Utility, 2006 Toyota Highlander would make a great family SUV. With no previous accidents or damage reported, a limited time warranty, and brand new tires, this vehicle is a great buy! This Highlander comes equipped with many high demand features, such as a sunroof, great trunk space, and multiple front and rear cupholders. Great mileage at a great price! At Hoffman Auto, we pride ourselves in our quality cars at a price comparative to market value. With over 57 years of service to the Used Car industry, we would love to assist you with your next purchase. With a wide variety of auto lender options, we are capable of handling your financial needs here at the dealership. For more information, contact Mike Bray or Bill Warren at (336) 625-4600. Don't miss out on this great deal!